There are several factors that may affect which metal you decide to invest in. First, it’s important to understand which metal you’re able to buy in the short-term. Next, consider the demand for each metal, the volatile nature of their prices, and the potential for your investment in the future. These factors will help you determine whether you should buy gold or buy silver. Ultimately, whether you buy silver or gold, it’s a sound decision financially. 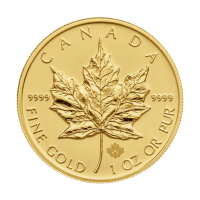 Precious metals allow you to maintain a financial currency long after paper money has failed. It also enables you to not rely solely on traditional retirement options like 401ks and the unpredictable stock market. Although an investment in either metal is a smart one for several reasons, we’ve outlined five specific factors to consider when deciding between silver or gold. Whether you’re a first-time investor when it comes to precious metals, or you’re looking to begin investing in something new immediately, silver may be the better option. This is because silver is generally more affordable than gold. 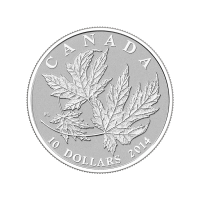 At less than $20 per ounce, you are able to buy silver coins and rounds for less than you may have thought. 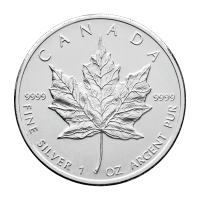 The lower price of silver allows people to take less of a financial risk up front, and feel more comfortable spending money on a new type of investment. As you learn more about the benefits of buying silver and become more comfortable spending money on it, you’ll have the added bonus of saving more money when you purchase larger quantities of the metal online. It’s important to understand the demand for silver and gold before you begin investing in either metal. 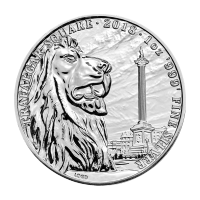 Right now, there is a huge demand for silver throughout a variety of different industries. Due to its electrical conductivity, silver is used for a variety of products in the electronics field, including in the production of batteries and within the solar power industry. Today, silver is being used more quickly than we can mine it from the earth. Additionally, silver is also labor intensive and expensive to mine. This scenario creates a high demand and diminishing supply scenario. According to The United States Geological Service (USGS), silver will actually be the first element to go extinct due to our excessive use. 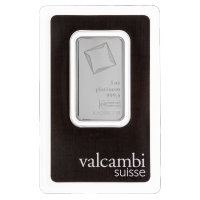 There are no signs of our silver consumption slowing down, which is why we suggest investing in silver today. Generally, the price of silver is more volatile than the price of gold. However, this isn’t necessarily a bad thing for investors! If you’re looking for the steadier, more consistent investment, then we suggest you buy gold as an investment. However, if you’re willing to invest in a metal that is currently undervalued and has huge potential growth, it’s time to buy silver. Depending on the type of market we’re experiencing, the price of silver tends to rise and drop more dramatically than the price of gold. During a bull market, silver generally rises more than gold. If you believe, like we do, that we’re on the brink of a bull market, this makes silver an incredibly smart buy right now. Traditionally, most people think about investing in gold when they want to diversify their portfolio and enter the precious metals world. However, it’s important to remember that there are several reasons why silver is a great investment, too. Industrial Use: As we mentioned earlier, silver is used throughout a variety of industries. This includes the medical field, consumer products and the industrial industry. These fields are not going to stop their silver use any time soon. Additionally, with China’s constant focus on combating their pollution issue, silver will continue to be in demand for solar power purposes. A Cheaper Price: Don’t forget that you are able to get into the silver marker for approximately $20 per ounce! This takes the pressure off of investors who are looking to diversify their portfolio quickly. Don’t wait until the price of silver rises dramatically again to begin investing. Great Potential: Due to silver being undervalued currently and not being mined to its fullest extent, it’s a great time to buy silver. 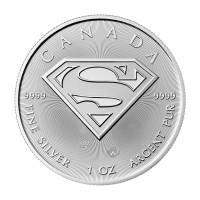 As the solar power and tech industries continue to boom, no one can say for sure how much their demand for silver will increase. If you’re looking for a more secure way to invest this year, we recommend you buy silver or buy gold. Regardless of which metal you choose, you’ll be diversifying your finances and allowing yourself not to rely so heavily on traditional sources of money. Don’t allow yourself to be at the mercy of a stock market that can change drastically overnight. Your hard work, savings and your financial future are all too important to leave in the hands of just one form of investment. 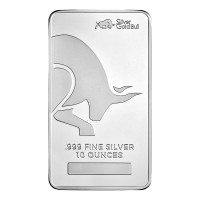 Silver Gold Bull has a huge inventory of both silver and gold to ensure we can meet all of your needs when it comes to investing in precious metals. We’re also able to buy them back from you in the event you’re looking to sell, rather than buy silver or gold. We ensure the process is easy and we’ll walk you through every step. For more information, explore 20 reasons to buy gold as an investment and why silver is a popular introduction to buying bullion today. As an investor, both gold and silver can play an important and valuable role in your financial portfolio. If you’re currently relying on your stocks, retirement funds or the paper money in your savings account, it’s time to consider another investment stream today. Unfortunately, the stock market has a history of crashing and it could crash again tomorrow. 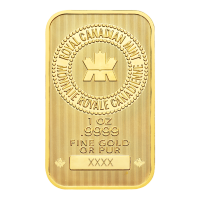 When you buy silver or gold, you’re buying something that is universally accepted across the globe. Learn more about how you can buy silver and gold today to get started investing smarter.